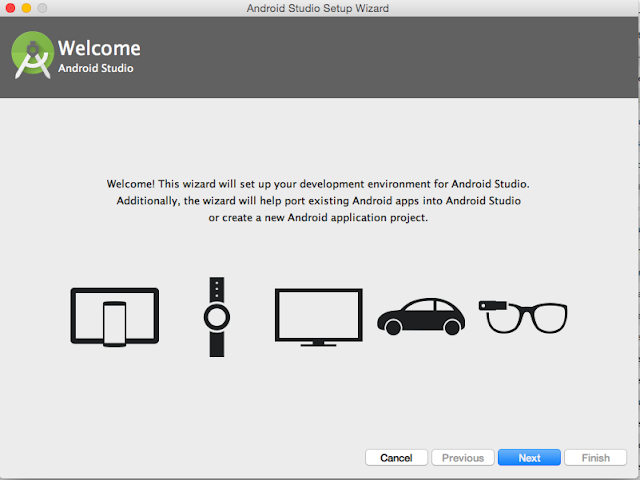 In this post, we will see how to install android studio and get started with android development. I will provide guidelines to install android studio on Mac OS but it will be very much similar in case of windows or linux too. We will divide this post into three parts. 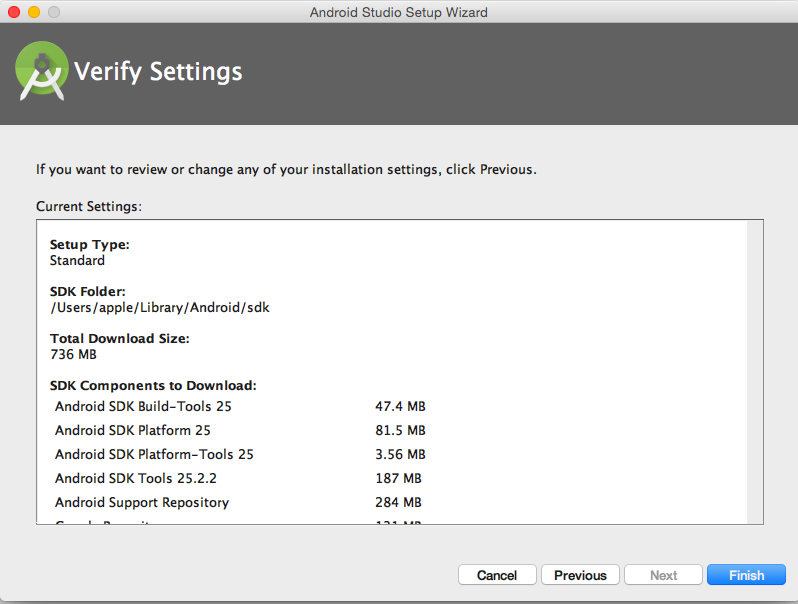 Android studio requires JDK to be installed on the machine. 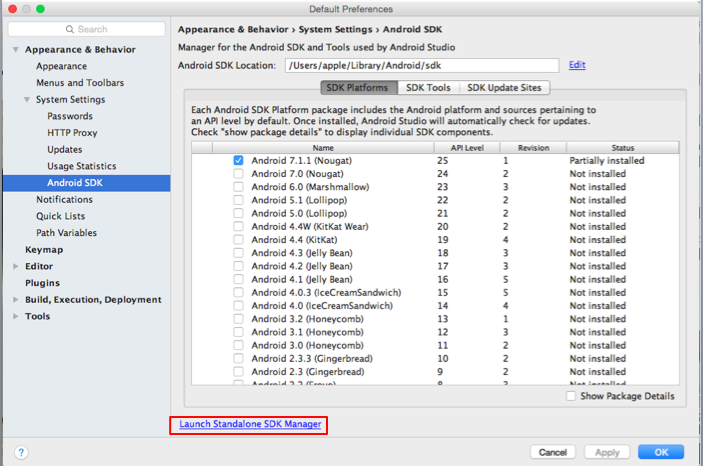 If you are working with latest version of android studio, it is recommended to have JDK8. 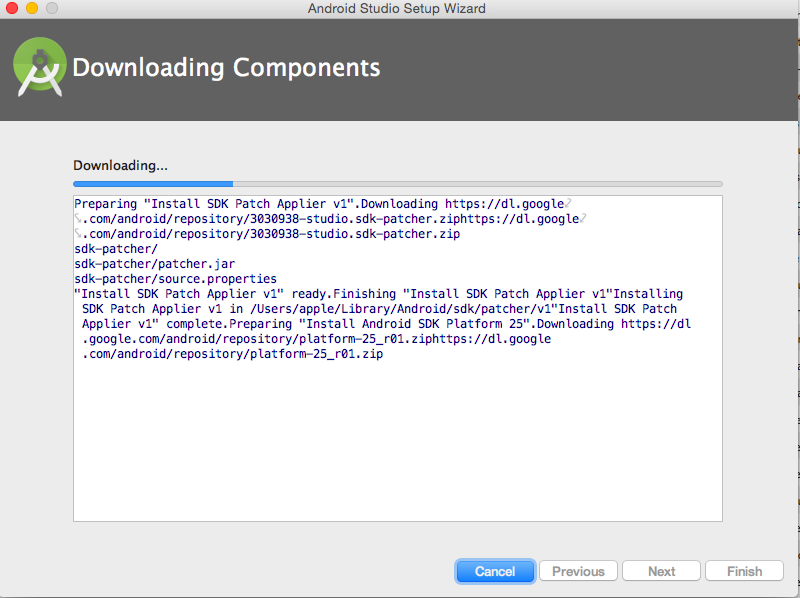 Lets check if you have java installed or not. If you get java version as above, java is installed on your machine. 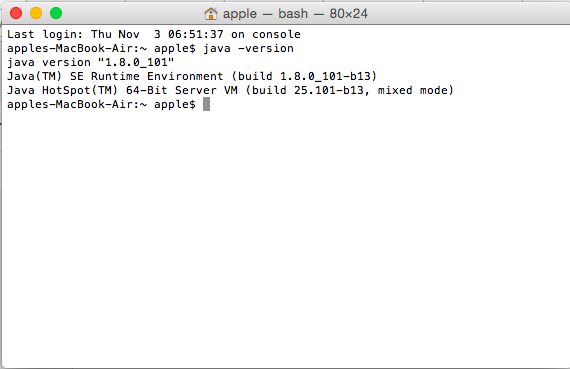 If you get command not found, then you need to download and install JDK 8. Download dmg file from the link which is on above webpage. Double click on dmg file and you will get below screen. 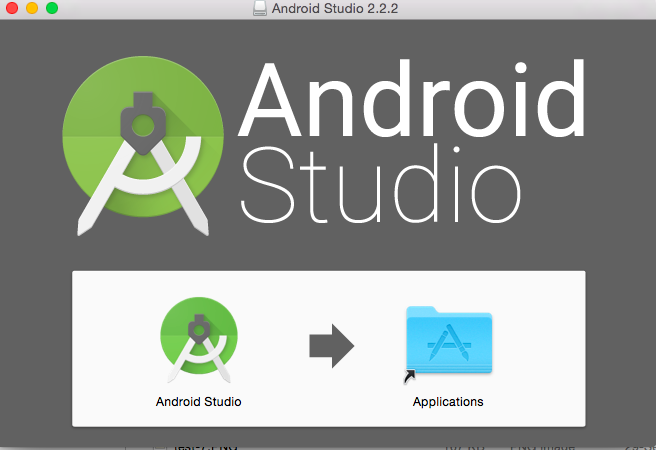 Drag above android studio to applications. 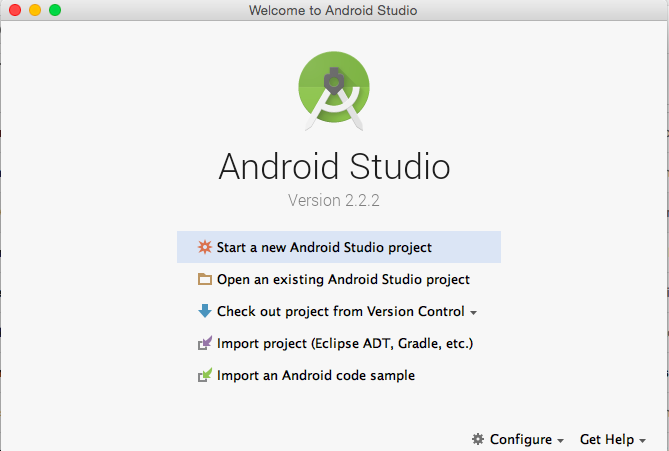 Open Android studio app from applications now. Choose Standard Android studio installation and click on next. 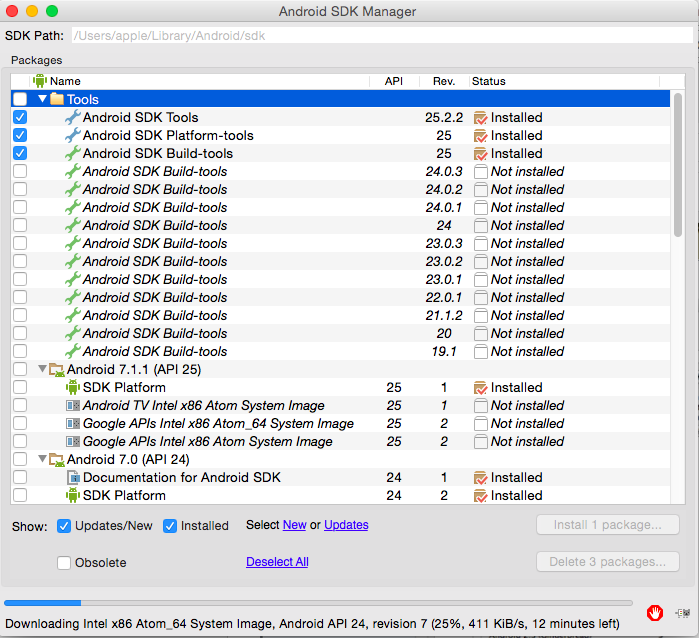 It will automatically download require SDK platform. 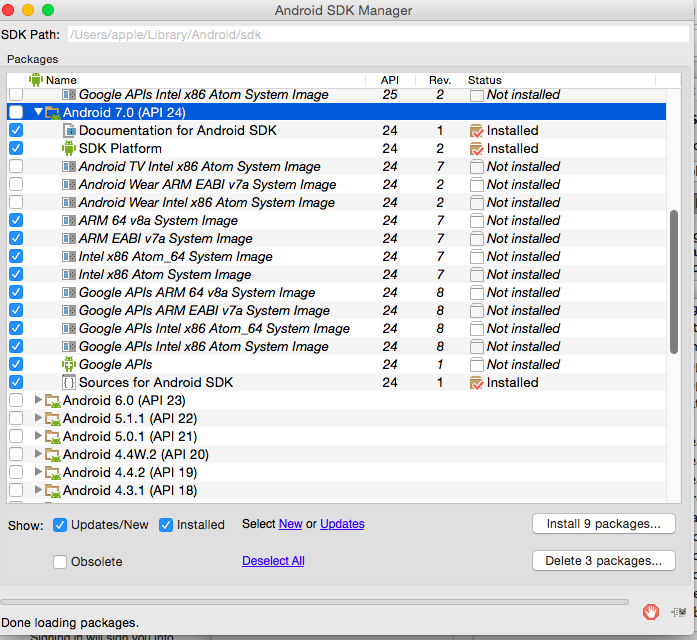 Please note that it will take some time to download android SDK files as it is very large in size. Once done, click on finish and then you will get below screen. Once you have downloaded Android studio, you can configure Android SDK for complete android app development. Click on SDK Manager as shown in above picture. 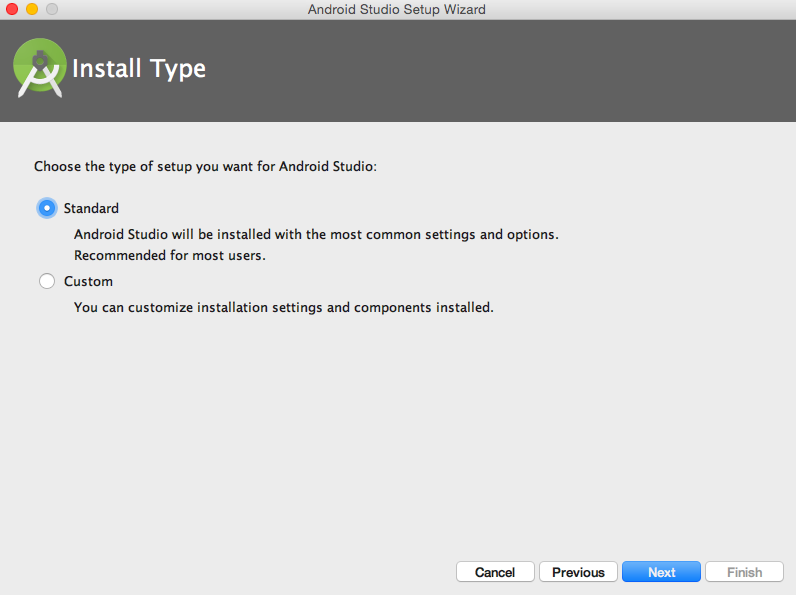 I have selected the components which you need to download and install. 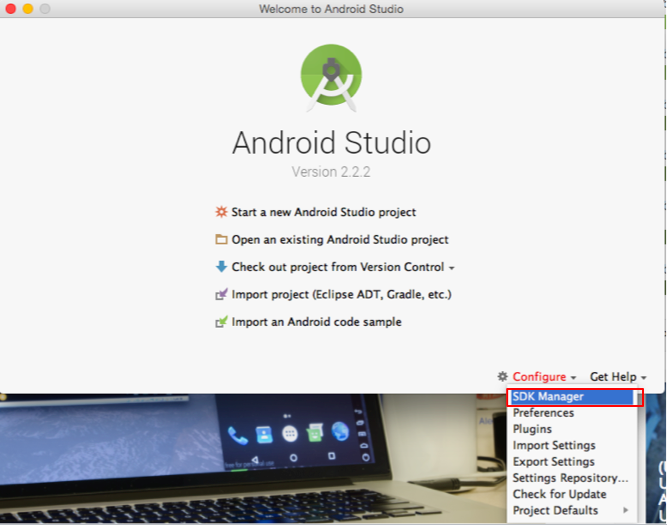 Click on Tools to minimize it and click on version which you want to install. In my case, I am installing Android 7.0 (API 24). You can download all files for API 24, but it will take time. I have selected the files which you may choose to download and install. Click on “extras” which you will see at the end. 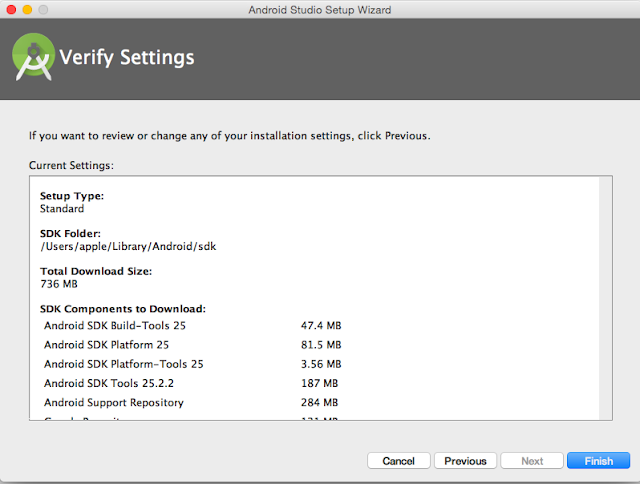 I have selected items which you need to download and install. 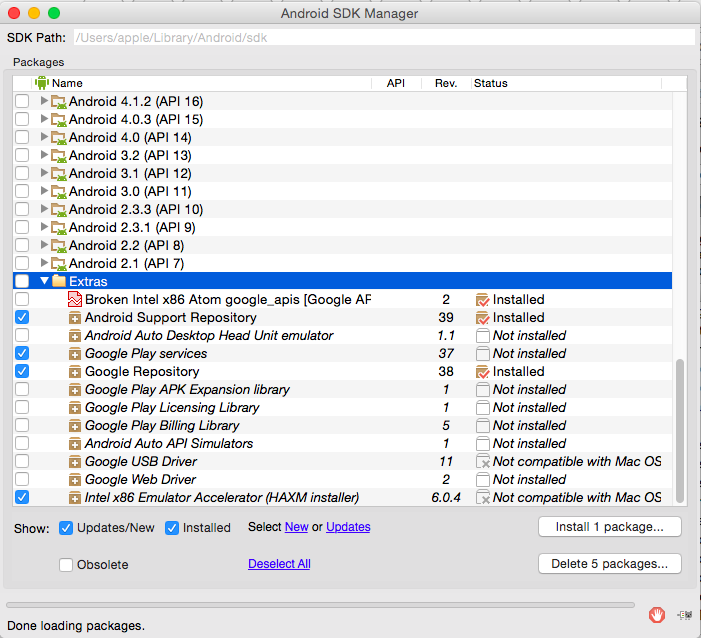 Click on install package once you select above selected items.